National Level Technical Symposium “Techlligent 2K19"
Pimpri Chinchwad Education Trust’s Pimpri Chinchwad College of Engineering (PCCOE). 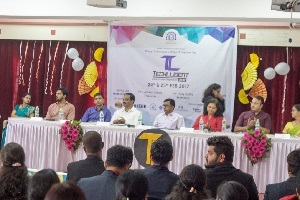 Pune hosted a 12th edition of National Level Technical Symposium “Techlligent 2K19" on 2nd and 3rd April, 2019 in association with Quality Circle Forum of India and Design Innovation Centre,Savitribai Phule Pune University. The theme of Techlligent 2K19 was based on thrust areas related to Energy, Agriculture, Health and Hygiene, Transport and Automobile, Digital India and active participation of Indian youth in country's governance and development. Objective of Techlligent 2K19 is to provide an opportunity to Students of all Engineering branches, MBA, MCA as well as Science stream from all around the Country to showcase their Technical proficiency, their enthusiasm towards technology, and skills to provide better solutions for societal benefits. Techlligent 2K19 saw 1000 + footfalls, 13 events, and a whopping Rs. 2.5 lakhs in prize money. 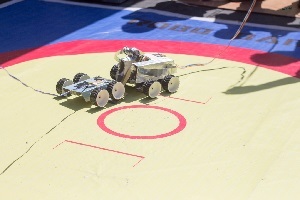 There were 600 + exciting and highly competitive contestant in all branches of engineering, robotics, drones, logo making and short-film making. Some of the events included Techlligent 2K19 - Technovation (Innovative Project Competition), Infovision ( Innovative Idea Presentation) , Invictus ( Award Winning Project Display) , Dronovation( drones competition) , Roboolympics ( Competing robots) , , Frames Tales (short film contest), Logo design , Royal Jumble ( mix and match products to make new products ), Shift delete bhrashtachar , peoples voice challenge ( uprooting corruption and giving voices to people’s grievances) , Smart village (technology for rural development ) , Power tower ( balancing civil structures) and prestigious ACM chapter sponsored Pune coding league (PCL 3.0) . 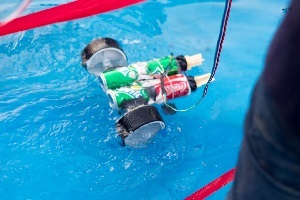 Many engineering colleges around Pune participated with great enthusiasm in these events. Pro vice chancellor of SPPU Dr. N. S. Umarani graced the award ceremony by his esteemed presence as chief guest along with Mr. Rohan Rajapurkar Executive Director at Radiant Heat Exchanger Pvt. Ltd. as a guest of honor. Mr. S.J. Kalokhe - President QCFI, Pune, Dr.A.D. Shaligram- Dean Science and Technology SPPU, Dr. A. M.Fulambarkar- Principal PCCOE , Mr. Anant Kshirsagar’ - HEAD Corporate HSE at Thermax Ltd. , and Dr. S.U. Bhandari Dean - Student development and welfare PCCOE marked valuable presence at the event. To judges the various events the team of experts form industries like Mr. Jagdish Lomte - Thermax, Dr.Rahul Shindurnikar -Simens , Mr. Rahul Uplap –KPIT technologies, Mr. Vikramsinh Desai -Teamspringg Engineering Solutions, Mr. N K. Vaidya and Amol Madkar -TATA MOTORS , Mr. Hemant Gadgil- Dassult Systems Foundation, Mr. Arun Jangam -Nayan Electronics , Mr. D W Bapat and Dr.N.D.Joshi –Ex Thermax were present. Keeping in mind the versality of the event based on thrust area Dr. Dattatray Lad- Agriculture College Pune, Dr. Prasad Bhanap (YCM) and Dr.Ritesh Pathak - PGI YCMH PCMC Pimpri Pune were present. 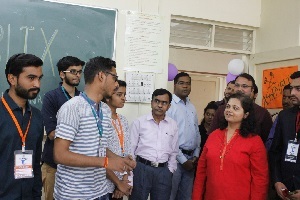 Dr.Gunjal- SPPU-Skill Development and Mr. Vijay Athawale- Consultant and Mr. Ravi Nagphase –Skill India Jury Member also graced the occasion as judges. Sponsorers for the events were Forbes Marshall ,Limras , Shrike groups Telecommunication Pvt Ltd (LTPL), , GTS Techno Soft - Banner Pune, A+A Interiors Pune, Swamy electrical consultants, MSC softwares Pune and NAG magic Pune. This event provided a systematic approaches for industry–academia collaboration. It brought together experts to discuss the state-of-the-art and potential research agendas and industries willing to sponsor academic research.This collaboration proved best in developing interpersonal relationships between individuals. Techlligent 2K19 witnessed that Student internships , research project funding and collaborations, could be a win-win situation for both parties. Techlligent 2K19 realised that Industry should frankly and honestly talk with academia based on logical thinking and scientific background, which would be helpful to close engagement with academia. Techlligent 2K19 was based on the idea that Academia and industry are two important pillars of our economy. A robust collaboration between the two will augur well for our developing economy, enabling innovation, growth in the education system and producing an employment-ready workforce. This event gave a chance to discover, develop and demonstrate talent for students to excel and succeed. This student driven techfest showcases and celebrates the innovation, creativity, teamwork and talent of the students. 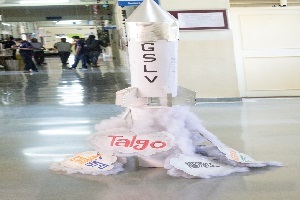 Techlligent is a National Level Technical Symposium for Engineering students. It is a symposium for Under Graduate students which lead to develop their Technical and Management Skills. The PCCOE has been organizing this National level Technical Symposium event successfully for last few years. This year Techlligent-2017 was organized on 24th and 25th February2017. 1. To reveal the technical and managing proficiency among students. 2. To develop ability in students to work as team with analytical and creative mind. Faculty Convenor : Prof. U. R. Shirode. Total 23 events were organized under Technical-2017. Among which three events were mega technical events. There were two technical events and non technical/management events for each department ( E&Tc, IT, Computer, Mechanical, Civil). 1. Pune Coding League(PCL): PCL event is organised under the ACM Chapter Pune. 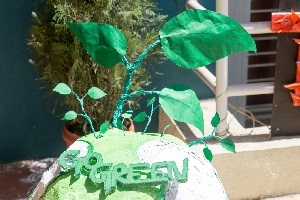 Total 75 teams were participated. In this event student were given a problem statement to solve in time span of 5 Hrs. The solutions provided by participants were evaluated by offline judge and accordingly winner was declared. The inaugural function of Techlligent-2017 was organized on 24th Feb 2017 at 09:30 AM in Seminar Hall of PCCoE. Mrs. Arati Dixit, Vice-Chairperson of ACM chapter was the Chief Guest for the Inaugural function of the Techlligent -2017. The student anchoress Ms. Ashwini and Mr. Ronak Gandhi welcomed all the dignitaries and student participants. The formal inauguration started with the lamp-lightening ceremony and welcoming of all the dignitaries – Mrs.Arati Dixit, Dr. A. M. Fulambarkar, Principal, PCCOE, Dr.S.S.Lakde, Dean R&D, Dr.S.U.Bhandari, Dean SDW, Prof. U.R.Shirode, Faculty Convenor and Prof.A.S.Gadhe, Faculty Secretary . 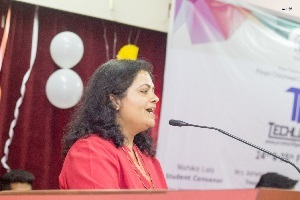 Prof. A.A.Shrivastava welcomed all the dignitaries present on the dais, and more than 2200 student participants all over the India through her welcome address. Principal Dr. A. M. Fulambarkar addressed to the student participants and also appreciated untiring efforts made by the student volunteers and committee members. Principal Sir highlighted on the importance of planning, coordinating, and controlling and motivating the students to keep up high pinnacle for every year of Technical event. He also highlighted various sectors to make India smarter, on which students need to explore and work for their future in a view of vision 2035. His speech helped to sprout up the inner confidence and hidden talents in our students. The details of Techlligent 2017 were speech by student convenor Mrs. Nishika Lala. She gave brief summary about events in Techlligent 2017 and how it will helpful to make India Smart. The main attraction of the inaugural function was the speech by Chief Guest Mrs. Arati Dixit Madam. In her speech she briefed us about the innovations in various fields. She encouraged us to support our theme of “Smarter India”. Madam has also enlightened the students about frugal innovations and technically how India became a smarter and faster. The inaugural function is completed with the vote of thanks proposed by Prof. Ujwal Shirode, Faculty convener of the event. The inaugural function concluded with the National anthem.